Feeling like busting a move with your Vita this Fall? Check out this special edition including some choice Vita gear. So what exactly is going on? you might ask. 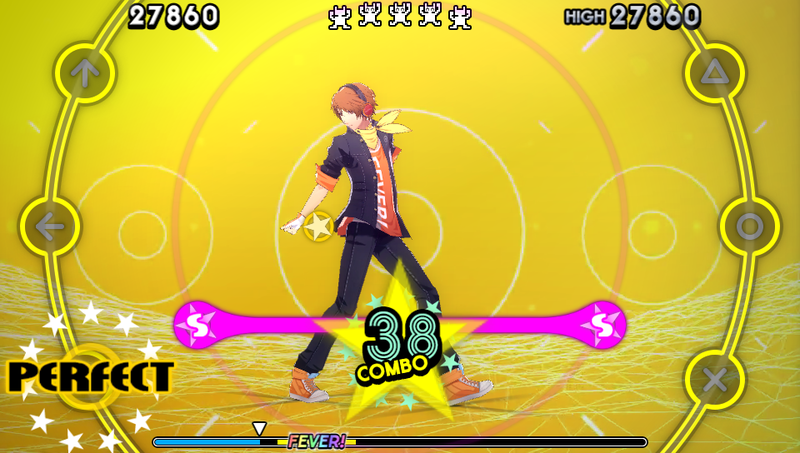 Dancing All Night is "follow up" to Persona 4 in a dance rhythm game, complete with a story line featuring characters from P4. This special edition will be available in limited quantities based on pre-orders; the "Disco Fever" Edition will be $79.99 and the Launch Edition of P4D will be $49.99. What are you getting with this? 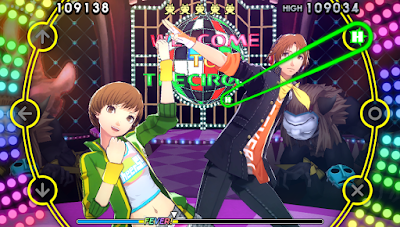 Two Discs Chock Full of Persona 4 Music Remixes: Hear the Persona 4: Dancing All Night soundtrack in all its glory! The two-disc CD set is full of original classics including "Pursuing My True Self," and "Shadow World,"new song arrangements including "Heartbeat, Heartbreak" and "Your Affection," remixes by artists including Lotus Juice, TK and Yuu Miyake, and completely new songs specifically composed for P4D! 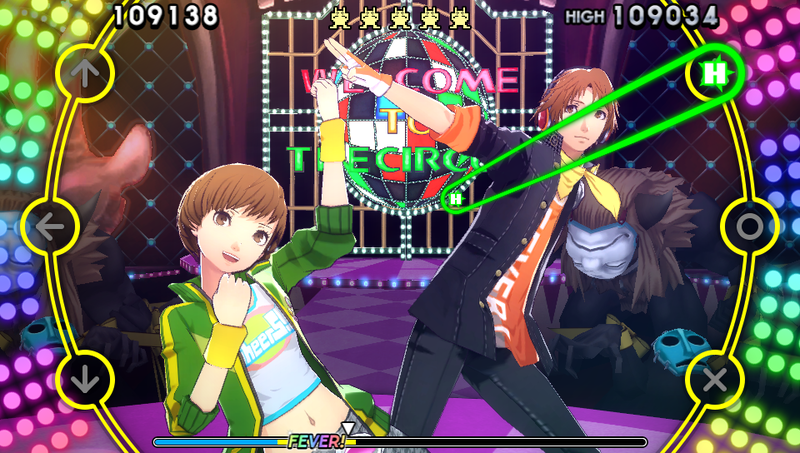 Costume Change: Two sets of paid DLC outfits will come with the "Disco Fever" Edition for free - Persona 3's Gekkoukan High School uniform set, and the summer break outfit set- to dress up Chie, Kanji, Rise, Naoto, and the rest of the human (sorry, Teddie) Investigation Team! The song "Never More" is also included as a bonus playable song. 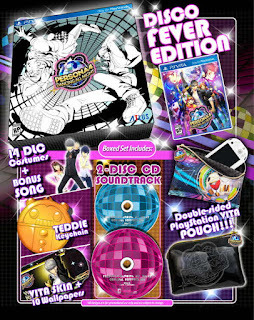 Cover Band: Preserve the sanctity of the PS Vita's display with a form-fitting skin to show off the very essence of P4D! Also exclusive to North America, the skin won't be sold separately. 10 PS Vita wallpapers are included and will perfectly match the outer decal. (The skin is designed to fit the most recent model of PS Vita) Bummer for me, I've got the old school one. 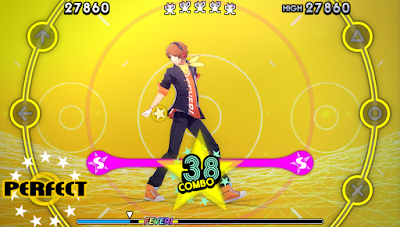 P4D is exclusive to the PS Vita (PSTV compatible), with fully-voiced story mode and challenging music-rhythm gameplay spanning more than 25 full songs. 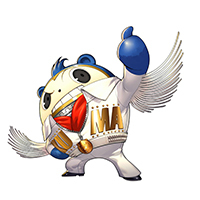 This includes songs from the original game, created by legendary Persona series music composer, Shoji Meguro and their remixes. In addition to the retail versions, the game will be available digitally on the PlayStation Network for $49.99/CA$59.99. Check out the video for the song "Dance." It has the tune and the lyrics, not the dancing. That's for later. Hey readers! Interested in this? Let us know below!